For the Japanese , Jan 1 is a big holiday. Much like our CNY , they celebrate the new year over several days. Things start to wind down the week before Jan 1 as people make preparation to go back to their hometown to be with parents and family. Jan 1 is a holiday and many businesses are shut down for several days. Of course there are new year goodies as friends and relatives visit one another. 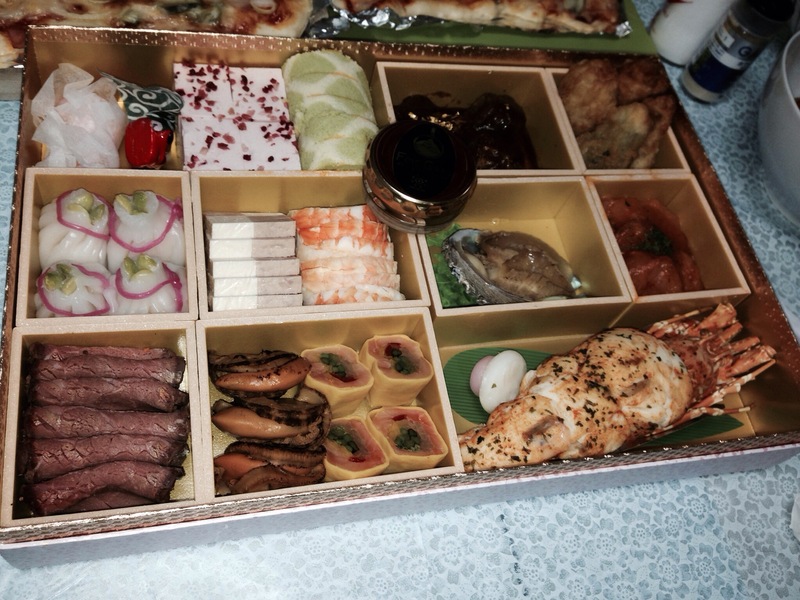 They have several special types of food for the new year but mostly served cold. The tradition is to give the mother a break from cooking so that u eat special food that are prepared in advance and served cold. Ooshii desu ne ! Countdown in Sendai was quite muted. We could not find anywhere to go for countdown party so we decided to head down to Jozenji dori known for its well – lined trees ( Sendai is also called the City of Trees) . During Christmas , the trees are adorned with thousands yellow lights on their branches . Lots of people were there soaking in the atmosphere of the festive season and taking picture. 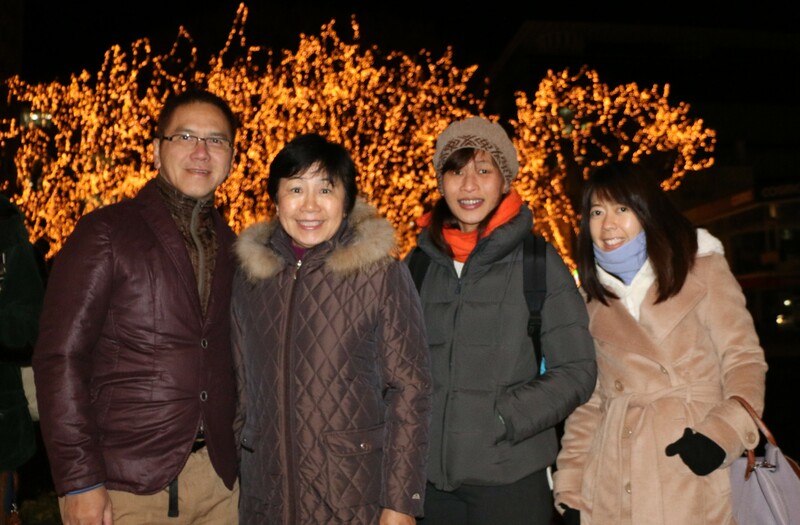 We wanted to walk and pray amongst the crowd , thanking God for 2013 and praying God’s blessings upon Japan . We saw people looking up at some trees and they were all trying to look for a tiny pink light among the branches . Tradition says that if u can spot the tiny pink light it means good luck for the new year. Then at 12 midnight , the street lighting was turned off. No fanfare ! What a way to welcome 2014! .So we huddled together and prayed for the city. What is the first thing to do in 2014 ? Start the year by recalling all the events that happened in 2013 and give thanks to God. Then share with your friends and family what you are thankful for. Then 2014 will indeed be a happy year. We, the Thursday Fellowship Grp in Phillip missed you. As most of us were not around, we did not meet in Dec. As we begin the year 2014, I will take your “guidance” and reflect on 2013 and step forward into 2014. What is the future going to be, know we not, BUT we stand firmly on the ASSURANCE that our Almighty God holds the future. What have we to fear. In Yahweh’s amazing Love, Ming Wee.